during winter break with a visit to the Water-Zoo Indoor Water Park! Enjoy the warmth of the tropics in 83° only at the Water-Zoo! The best time…..IS FAMILY TIME! 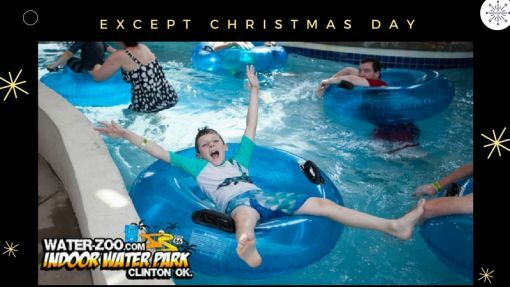 And families are sure to have a great time together at the Water-Zoo Indoor Water Park. We have Hotel or RV/Water-Zoo packages available. Water Zoo Campground is across the parking lot 580-323-9966.